We all know that we can’t live without food and how many of us really care for those producing the quite ingredients. Today people all concentrate on development which we all think as computer based and make easy things without hard work and pain by just sitting in front of computers and gadgets and of course it’s not an easy take though, physical ability has reduced and mental strain has increased since we forget to balance either. Today almost development is based on technology basis and most of them just want to become an engineer and work in MNCs or software companies which pay high and have a wide vision of aboard. I’m not complaining about them or this system based development and thus I never qualified to talk about others and the wisdom based on studies and knowledge, I just express from the views and thoughts I read and felt from. We all need this kind of development which I have no different opinion from others, but this is not alone a life of living and we need to give total equivalent to agriculture which holds our breath. We all know that it’s impossible to live without eating and food is not quite based of cereal products it also includes vegetable and fruits and if not agriculture where could we get all these from. There used to say there isn’t a best medicine like food! I’m nothing to say new here but felt to say that the care and concern given for agriculture isn’t right unlike we give to technology based development which lack to look beside either agriculture or its related livestock business and growth. I can’t quite deny that technology isn’t helpful in agriculture any ways, but still beyond an edge is totally based on soil and water resource. What really put down the agriculture was lack of employees who weren’t content with the income and goes in search of jobs in cities and towns. Today how many youngsters willing to take agriculture as their career and get down in field to make certain for its future progress and productivity. Man, education and knowledge is to develop every individual to think and work on their own and experience a life of great wisdom and values… but how many of them work based on their studies and interest. Its overall experience and talent make one a great employ or CEO. My question is when one can work with such jobs why can’t take agriculture as a career to make certain it has a bright future to behold beyond its struggle and starvation. 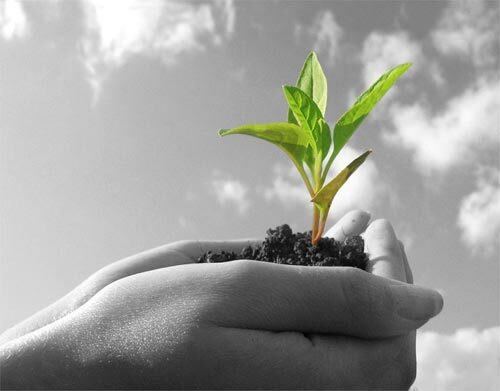 The technology has developed a lot and make certain that anything is possible, but why can’t we still bring up the suppressed agriculture and give hand to our foremost life saver and best among the businesses. I just write what quite mind says about and I’m not much deep in details about the facts to make certain or explain except through sense of what I see, read and come to know that there’s something dying or unconcerned beside great development in technology. What I really want to see was that both technology and agriculture are developed at balance to build a developed India. It’s not the baldness that comes in old age or yet to exist for sure in future which is becoming increase among youngster these days. But this one was taken by me or i forced to take due to dandruff and hair fall after more than 15 years I went head shave today. I have been postponing to take the baldness since shy… ;d but coming across lot of courage and self-confident and most importantly understanding the need and in a hope to get relief from dandruff I nod for the head shave. I feeling very cool head after going through the shave and shower, it was a surprise for the grandma and uncle who visited home to see me bald since they never thought I would go for this. My parents want me to go for another one or two head shave to quite remove or reduce the dandruff and the next shave could be in next 15 days and it was a thing i rely to get cure somehow than going for the over build-up and quite deceive ads that promise to defeat dandruff. These days I really can’t withstand the advertisements on television which are almost completely fake and misleading the public into a world that never going to exist in real. It was an ad of shampoo where a model that used a company brand just pulls out the lorry or truck from a ditch with her hair is an extreme fake! I wonder how the directors dare to come out with such ads, keeping a mind-set that all views are idols and fools… ads aren’t an entertainment and there are many to take these ads series and go and waste money, time and health. Some ads are cute and sweet I acknowledge but they are just to adore alone. Whose sight uncommon has become a regular visitor of mine to come and sit on the Gulmohar tree right opposite to my house at every morning is a delight to see. Sometime I just think of thanking him/her to come and check me every day unlike some dear ones unwilling and feel bored to spent time with me. The blue coated, white breasted lady is really a beauty stick to dark red or pink beak and darker blown tufted head as a cap, takes refrain on particular branches either nearby at few steps from our doorstep. I attempt to capture the kingfishers on various moments while they come in search of fishes on the stagnant water opposite to my house, what rains left back as a trace for birds to look after for fishes, snails and frogs. One day I captured the White-breasted Kingfisher while it took refrain on seed pods of the Gulmohar tree, refusing to move or flip back its position for long time gave me the wonderful opportunity to shoot her. I have tried many times to capture the bird but before I get back with my camera it will fly away… and the bird usual sighted while monsoon prevails and water filled the open ground, but even while it was dry in summer I received this bird at the branch. I used my point and shoot camera to its maximum optical zooms to this quite nearly shot of the bird which appears little for a large kingfisher measured to be 28cm in length. 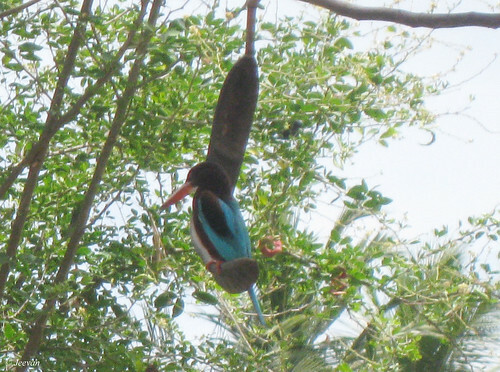 I captured the white breasted kingfisher on two more occasions and one was while visiting Cubbon park in Banglaore. from the open ground, opposite. who were in search of sucking blood. to experience a per-rainy season. The late (yesterday) evening earthquake in northeast India, taken away few lives and putting properties at damage has trigger the first ever quake experience of mine in Chennai with less than a month to go a decade ago. While reading the newspaper I recollect the experience of earthquake which turned to be a funny and fearful incident which seriousness is unknown until experienced that day and followed by the grandest devastation of 2004 tsunami which turned hearts heavily. The time quake struck, I was painting something sitting on the couch and others were watching a movie in the next room. Once I felt the tremor I scared and thrown away the pad I was keeping on me to paint and the colours where dropped to the floor and one of the wooden couch still holds the green colour which remind me the incident every time I look at it. It’s very funny and silly thinking at it today… but the real fun only followed then. The parents who felt the movement rushed out of the room like to do what to do… then than decide to get down to street. The others from uncle’s family who stayed then in upstairs are all rushed to the street and calling us to come down soon... but since I wore to calliper shoes it wasn’t easy to get me out. The uncle who arrived at that moment and along with mom hurriedly unbuckled the shoes bore me to the street, where we joined with few other neighbours who had arrived early. For some time we all hold to the street, standing opposite to our house and staring at it. It was an anxious moment for every one of us and what’s funny was those who are insensitive or brave enough to bear the tremor looked at us from there balcony was really indifferent and I couldn’t face those whose faces were like nothing happened. I was thinking now and then how a small tremor has brought us to street even we own a 3 story build! Nothing could save us in this inevitable world that anything could happen at any time and what we hoped as strong and inbuilt couldn’t help at time and we go in search of ground which is only certain. After sometime and certain that quake won’t come again, we all moved to the home in unrest mind and later some of our neighbours come home and discussed about the quake experience while watched the news about its effect in other areas, and since it happened at early night by 8 we went to bed with a tremble. 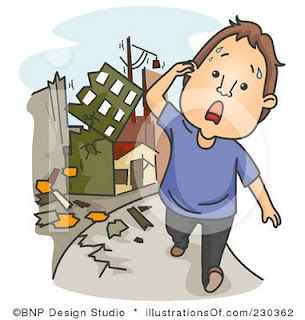 Ok guys; share your experience of earthquake if u really has something to share about your first quake experience. 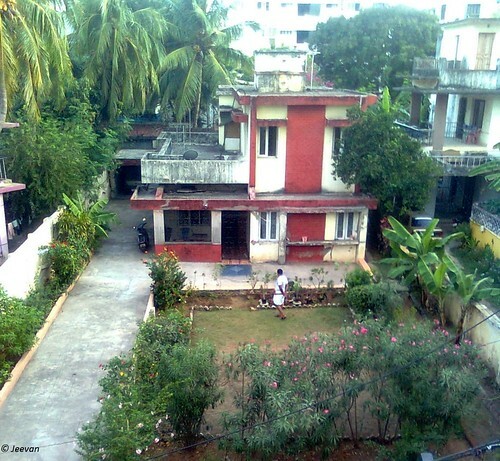 The house in the picture below is opposite to our native home in Adyar, Chennai, has the only open space in the area devoted to garden and greenery, surrounded by coconut trees from the adjacent compounds. This house is the only unchanged in our area since my remembrance and its even years older than me remaining same except cut off in short in garden and trees. I took this photo lately with my Nokia 2.MP cell phone camera and the quality was content to make believe hardly it was taken from a cell phone. The house and garden are belong to an ex-wing commander, whose age by now is more than 90 and he sustain almost inside the home these days except coming out for an early morning worship of sun. I never see him after shifting our home to the adjacent area called Thiruvanmiyur – the south end of Chennai, 6 years before and I get to know the activities of this home through my uncle’s family who still stays there. The ex-commander is a very active person then and even after retirement he continue to go jogging and go to playing tennis in his classic back Fiat Premier Padmini every early morning. I used to check him often while he is reversing his car from the narrow pathway leading from the car shelter and until less than a decade he self-driven the car. But his son who is taking care of him and maintaining the home now is opposite to him who never tried anything like him except driving his only scooter which in turn to be scooty today. This house used to appear very beautiful then with bougainvillea bloomed across the compound wall like a colourful fencing from preventing public sight has also couple of flowering trees which boom in orange and pink flowers and among them the pink one blooms only in spring or winter, which I am trying hard to remember, never fail to get attention from anyone. The guests and relatives visiting us always envy seeing this home and we used to be glad having such a beautiful bungalow opposite to our home. Since we stayed in first floor we get to notice the activities going on the garden and it’s the ex-commander who used to roll the manual grass cutter on the lawn to level the green pasture. Today his son has taken the response for maintaining the garden and we could see him in morning and evening doing garden work and cutting the overgrown leaves and grasses with the help of a man. I still didn’t install the digital camera software in laptop but I easily downloading the pictures taken from my cell phone via Bluetooth and so happen to post this photo which inspires to write this post. Last week took a master health checkup from a familiar diagnosis center here resulting almost normal has confirms diabetic existing at basic in blood has stimulated the need for restrictions at high. It was an expected cause since my hereditary holds it and even advised by our doctor to go for sugar free yet before ahead but this soon is something disturbing somehow thinking about the results and causes that yet to produce. I went on diagnosis at early morning in empty stomach; I took the blood test first followed by X-ray and ECG they gave me glucose to drink before taking PP sugar test after two hours from then. At fasting blood sugar shows 125mg – 15mg higher than the normal 110, and 236 at PP which is abnormal to ref. range of 70 – 150 has put stress upon another result of identifying cholesterol in blood at base increment are two causes which even imposes me a lot not has diffuses little charm from me freaking to unnecessary. I still have a doubt that PP sugar has increased is due to dirking glucose juice which is unusual since before it’s a test taken two hours later having breakfast or lunch, but I need to believe that I hold sugar in name of diabetic. A think I don’t like or feel painful more than attending blood test was peeling the round plaster they stick to the skin on where blood was taken is harm I feel. Mostly I avoid sticking to plaster even if I get injured from childhood which is painful I feel every time peeling it out and if it is a blood test, I simple go for fold arm than stick to plaster which I unmindfully did this time and felt the pain. Ps. still working on laptop system restoring process and yet to load data’s from the early desktop after recovery process finished and was learning more about Windows 7 operating system which is simple and easy more than XP. 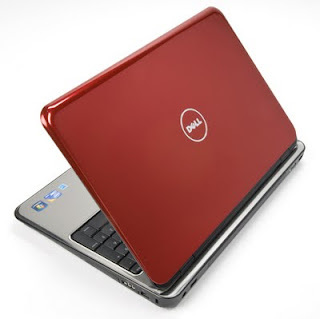 Bought a Dell laptop (Inspiron 15R) yesterday and it was very cool in operating and very easy and fast at progress. First time moving with a touch pad is little tough even tapping was easy... it was very convenient for me sitting anywhere from home to operate the system connected via wi fi has more than enough features what my desktop had or hadn't. With 6 hour long lasting batteries, the system runs on Windows 7 sitting on the i3 processor has 4GB Ram and 360GB hard disk is four sizes faster than my previous desktop. The 15.6" WLed screen discloses everything crisp and clear and very bright in a dark room is something disturbs slightly... anyhow it is a super model in style finished layout and stunning in color. It was a long time wish to have a PC personally for me has been fulfilled by this and the system is in need of system recovery process and installing some more software’s to quite configuration. The system has two OS in which Linux has to be removed to make some faster the computer... is waiting for our service bro's deed. For a month or less i was reading about the laps and planned to get it through a friend while he return from US, but the impatient mind and need can't wait for another 3 months since his work times has been extended. I'm very much content with the laptop that brought me independent to work at my favorable time and whenever i need without waiting for other to finish or work with a mind that i'm taking away the other time.